I agree with Don.....something different and perhaps unknown. 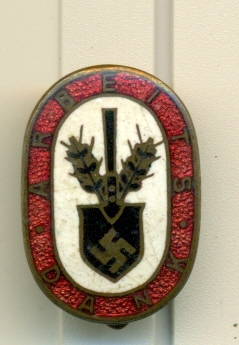 Could this be a variant of the "Bund Deutscher Ostern" badge? 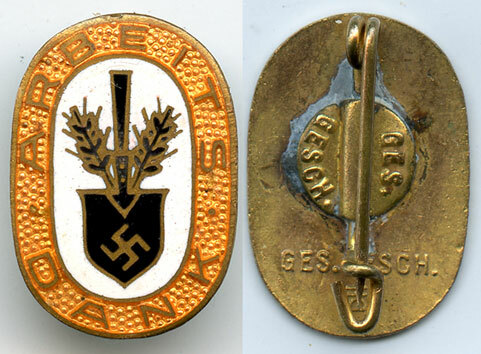 To muddy the waters more, it seems to me that in the upper blown up photo, it is not an "Arbeits Dank" pin. I was thinking similar thoughts Pete. 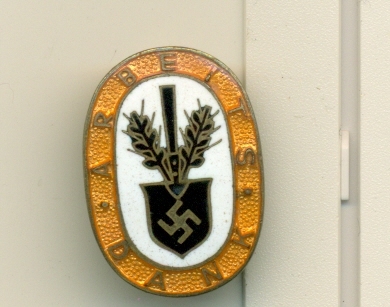 There's also the Scharnhorst Bund, they used a white shield/black cross with a crown in the centre. 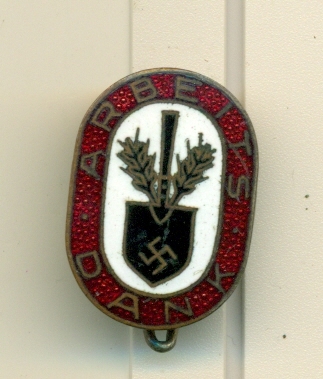 You are correct re the "A.D." pin, see post 33. Enlarged a little. Notice the interesting way the needle is twisted. Stubbe Berlin. 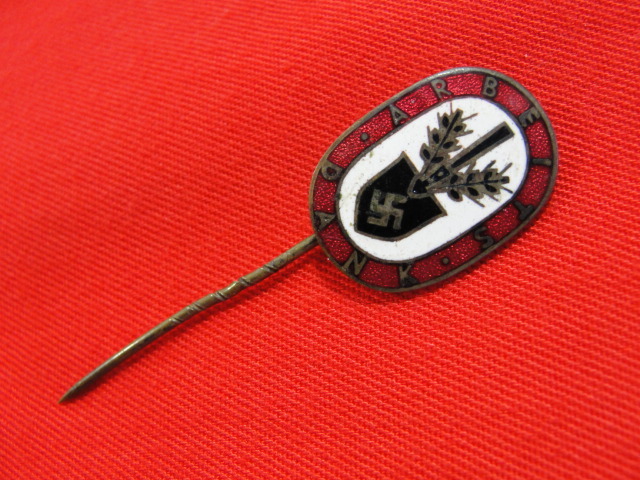 The needle on this one is around 20% shorter than all of my others. Notice how it is abbreviated. It is a Stubbe, no? A nice couple of examples there Robert, thank you for posting them. The Paulmann & Crone is especially well marked & I agree with your estimation that the second example is likely to be Stübbe. Another Hillenbrand to mate with Dons' example. 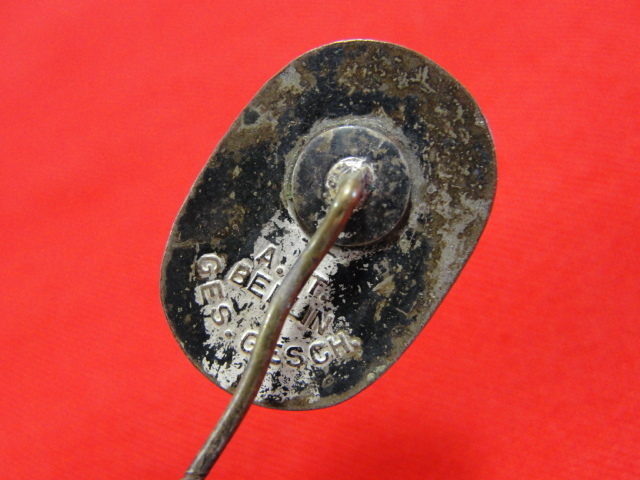 Pete Is that an Aurich mark I see under the attaching pin? You can see differences in Joe & my example and Petes' example. Maybe we can have a side by side? 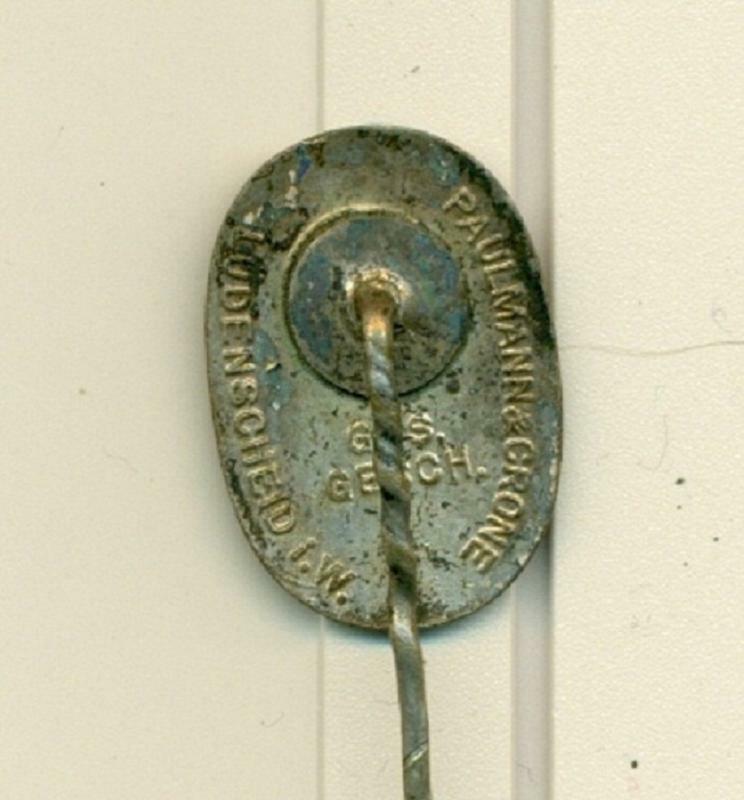 "Pete Is that an Aurich mark I see under the attaching pin?" 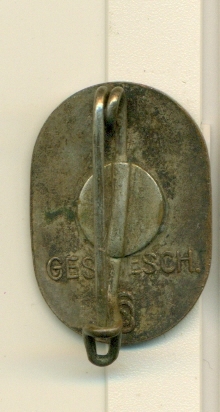 Another ever so faintly marked ges.gesch. 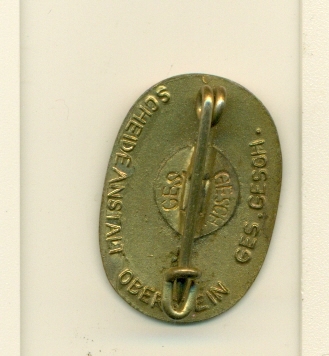 Another one where the ges.gesch. is partially covered by the needle plate. 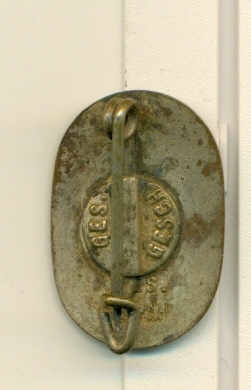 And lastly ges.gesch. 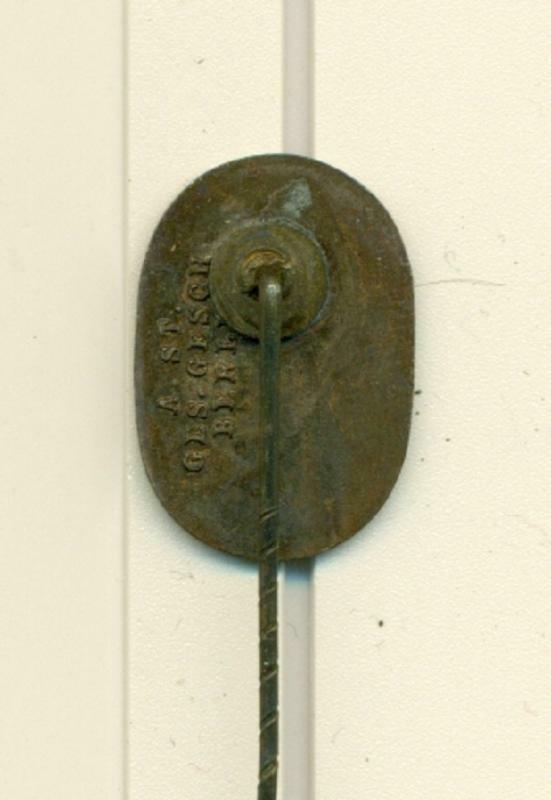 on the attaching pin plate and the pin itself. Any one have any others? Here is one I would like to get but it is a whopping $75!! That is obscene. Any idea who the maker is? PS I hope this one sits forever unsold. The only maker I can think of is Timm, but their initial letter was H.
Don I guess I could ask the dealer what the full initials are. And maybe for his asking price he can hand deliver it to me! The first one of these I ever bought cost $10. Time is flying buy.